The Minister has thanked the Indian Government for their assistance and support in the Micro and Small Business Grant initiative. The Small and Micro Business Scheme has assisted a total of 17,970 Entrepreneurs since its inception in 2014. The Entrepreneurs have started various businesses like Bee Farms, Poultry Farms and Flower Shops. The Indian Government had also given $4.67million in the first phase of these grants. 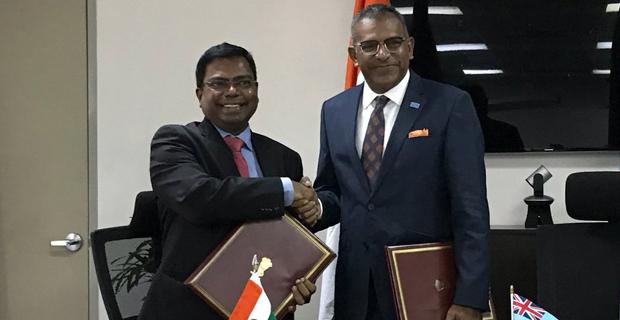 The Memorandum of Agreement was signed by the Indian High Commissioner Vishvas Sapkal.